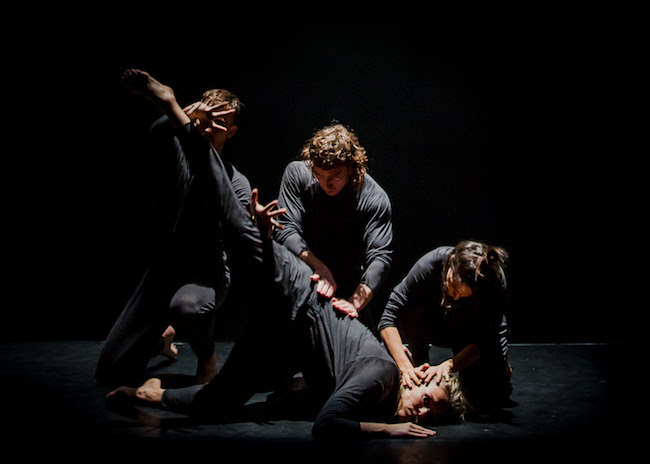 LINK Dance Company, a pre-professional troupe attached to the Western Australian Academy of Performing Arts, will present a selection of works by Australian choreographers Richard Cilli, Emma Fishwick, Tobiah Booth-Remmers and Michael Whaites at Dancehouse, Melbourne in November. 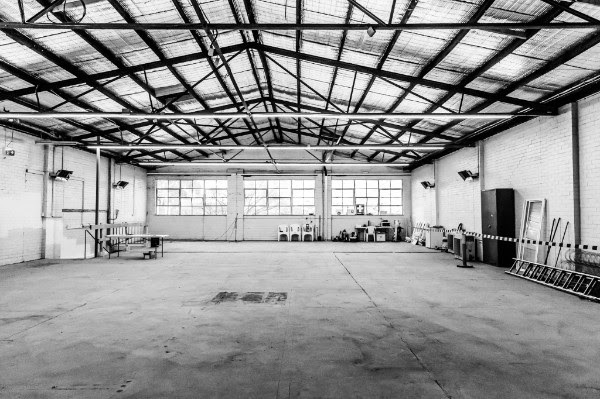 After more than a decade at the much-loved Batman Street studio, Lucy Guerin Inc is ready to move into its new home in North Melbourne: WXYZ Studios - a new hub for contemporary dance-making. The public is welcome to visit from Monday, November 5. 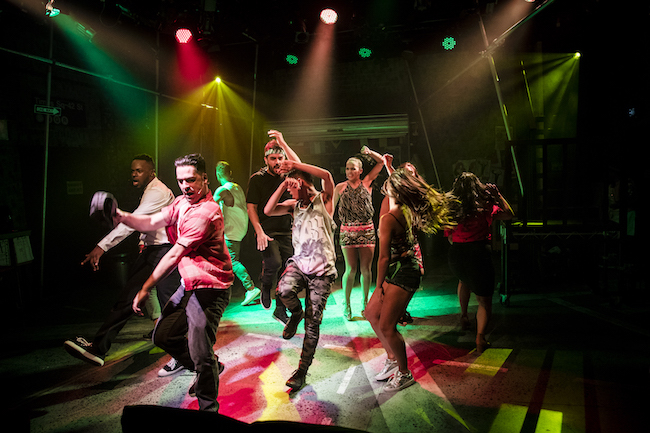 Transit Dance Artistic Director Paul Malek has announced a brand-new high school alternative for students serious about dance! 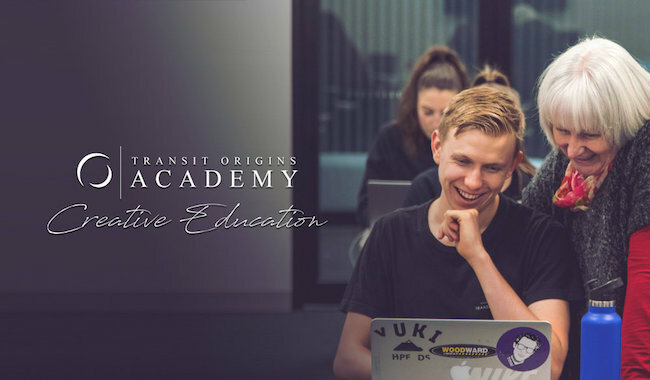 The Transit Origins Academy will cater to exceptional young dance artists who are at Year 9 to 12 secondary school education level. Auditions are scheduled for Saturday, November 10. 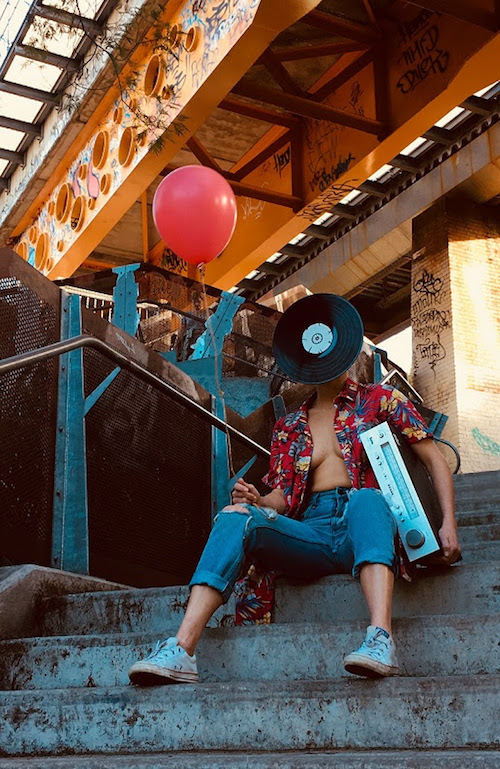 Dancers who will be aged 9 to 21 as of April 1, 2019 are invited to audition this Sunday, October 21 for a project-based collective in Brisbane. 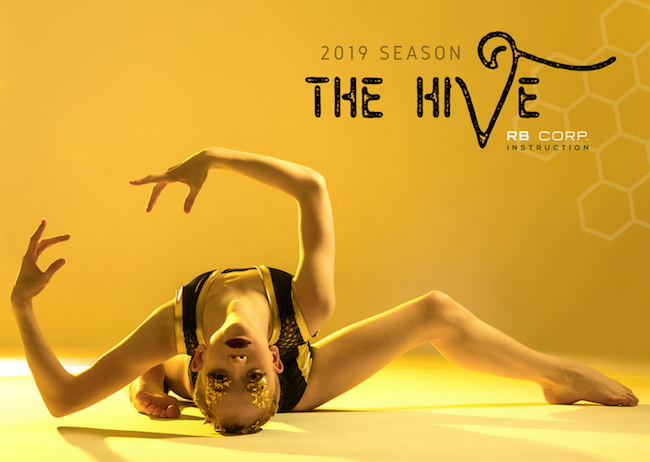 RB Corp. Instruction's first original work, The Hive, is set to premiere in Brisbane in September 2019 and dancers are now being recruited. Rambert, together with world-renowned choreographer Lloyd Newson, is looking for male dancers for the re-creation of DV8’s Enter Achilles. An open audition will be held this Sunday, October 21 in Sydney! Want to perform with Queensland Ballet? Queensland Ballet is giving one lucky boy or girl the chance to appear in its production The Nutcracker at QPAC this December. Enter the Suncorp Wish Upon a Ballet Star competition now for your chance to win! The Australia Council has committed $750k over three years to support sustainable careers and to recognise the artistic excellence of artists with disability. Australia Council CEO Tony Grybowski made the announcement last month at Meeting Place, the national forum on arts and disability, saying this was a priority. This month, Royal Caribbean Productions will tour Australia and visit New Zealand in search of dancers and singers with that “wow” factor. From October 18, cruise line officials will be auditioning performers in Melbourne, Gold Coast, Sydney and Wellington. Would you like to perform while travelling the world? This just might be your big break! The curtain goes up soon on Natalie Weir's final work as Artistic Director of Expressions Dance Company. 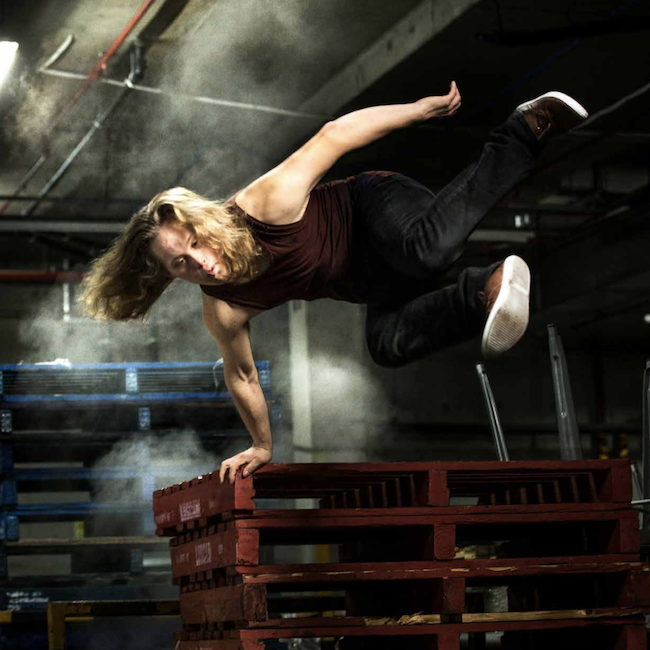 EDC, one of Queensland's leading contemporary dance theatre companies, will perform alongside the community dancers from WaW Dance and the astounding acapella vocals by The Australian Voices. Ausdance Victoria recently released findings from a three-month study entitled Leading Teaching Dance to Aging Populations. 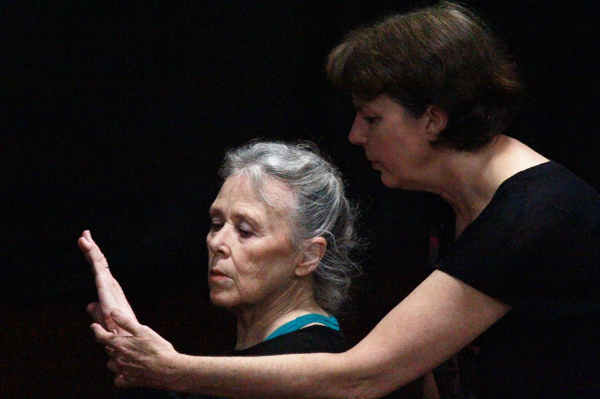 Led by Ausdance Victoria’s Director of Education and Lifelong Learning, Dr. Katrina Rank, this report aims to contextualise Victorian programs within the national and global trend to provide dance experiences to older people and to prepare the industry for future demand. 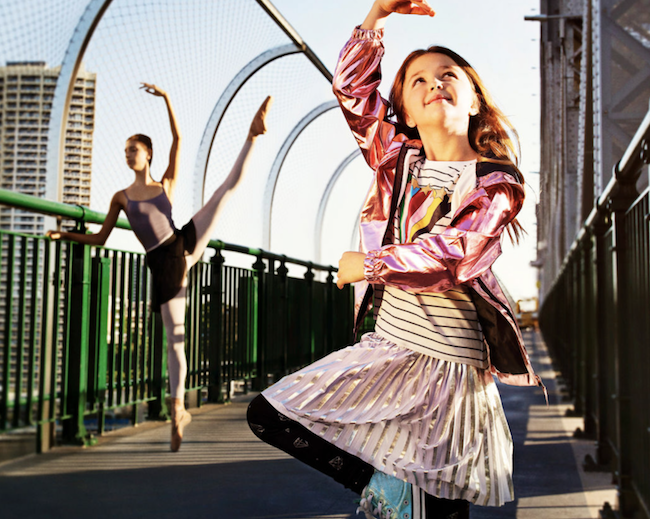 Melbourne dancers, get ready to shop till you drop! 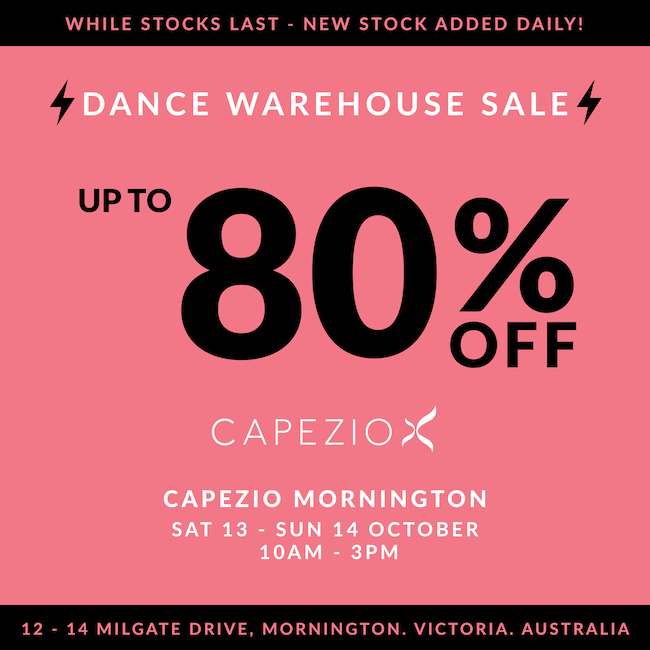 Capezio Mornington has announced a HUGE Warehouse Sale from 10 a.m. to 3 p.m. on Saturday and Sunday, October 13 and 14! You can snag items for up to 80 percent off! 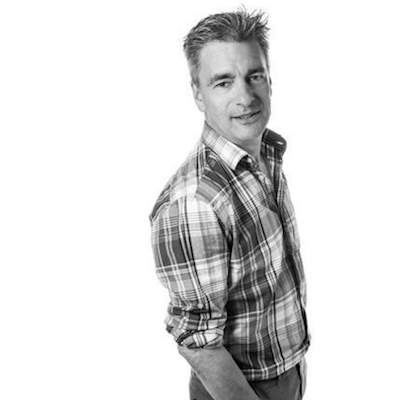 Artistic Director Michael Pappalardo has now announced Melbourne City Ballet’s sixth season. 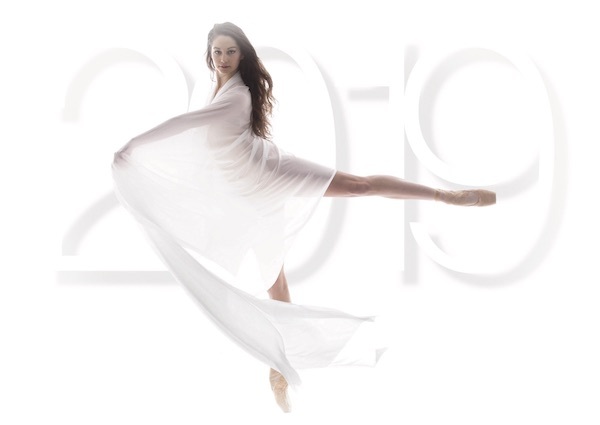 2019 will bring “A Touch of Magic” - featuring some of the company’s most popular repertoire, two new ballets for the organisation, an international tour and its largest national tour to date. 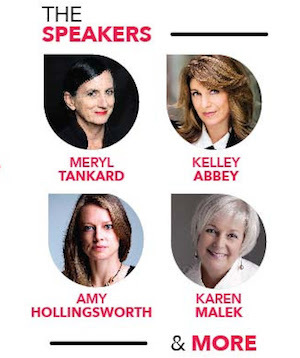 The Sydney Eisteddfod Dance of Champions jury and audience delivered its verdict for 2018 on Sunday 23 September, announcing The McDonald College as the winner of the Jury Vote and Pymble Ladies' College of the Peoples Choice Award. As a leading choreographic development centre based in Western Australia, STRUT Dance often recruits and presents elite programming. Now it will present 10 dance artists and 10 composers in a collaborative program designed to encourage and foster cross-artform conversation. All under the exquisite leadership of power duo choreographer Stephanie Lake and composer Robin Fox, the free collaborations showing will be October 7. World Ballet Day 2018 to kick off! 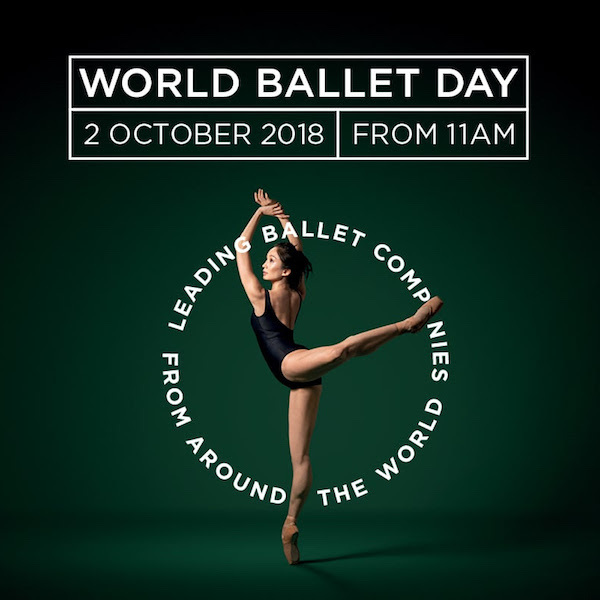 World Ballet Day 2018 is going LIVE! Be sure to tune in on Facebook from 11 a.m. AEST on October 2 to kick off this 22-hour live stream event with The Australian Ballet in Melbourne. It will then go to The Bolshoi Ballet in Moscow at 4 p.m. (AEST) and The Royal Ballet in London at 9 p.m. (AEST). Many, many guest companies are participating throughout. Dancebourne Arts will present its fourth annual premiere VIVA, a programme of four new dance pieces, on Tuesday, October 2 at 7:30 p.m. at the Darebin Arts Centre. The audience will take in choreography by Artistic Director Luanne Hyson as well as Geraldine Lett, Kathleen Skipp and Rosie Osmond. On September 13, tickets went on sale to the general public for The Australian Ballet’s new Storytime Ballet Tour. 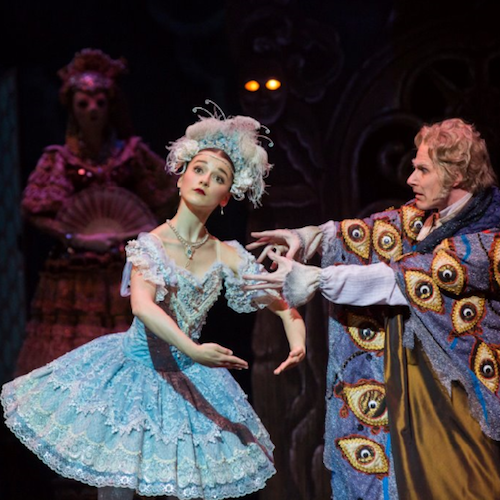 A spellbinding ballet experience for children aged three and up, this year’s production will be Coppélia. It's coming to venues across VIC, NSW and ACT this December and January. Sydney College of Dance has scheduled Open Auditions in Brisbane and Sydney for October. Auditions will include ballet, pointe and contemporary work. Registrations are now open. Meanwhile, private auditions can still be arranged upon request. Aussie dancers, want to be the next Face of Capezio? 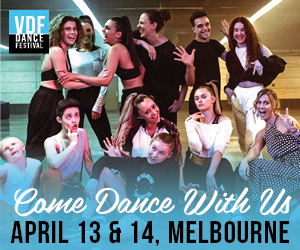 On Wednesday, October 3, competitors at the DanceLife Unite Nationals Finale at Luna Park, NSW will be invited to workshop with some of Sydney’s finest models where they will learn a dance-oriented catwalk routine. Later, Capezio Australia representatives will choose four dancers as the 2019 Face of Capezio winners. 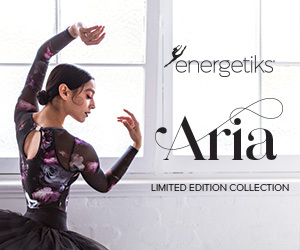 Australian dancewear icon Energetiks recently unveiled its newest collection, a floral fantasy named Aria. A symphony of colour harmonizes in this collection, which features the power of compression technology. 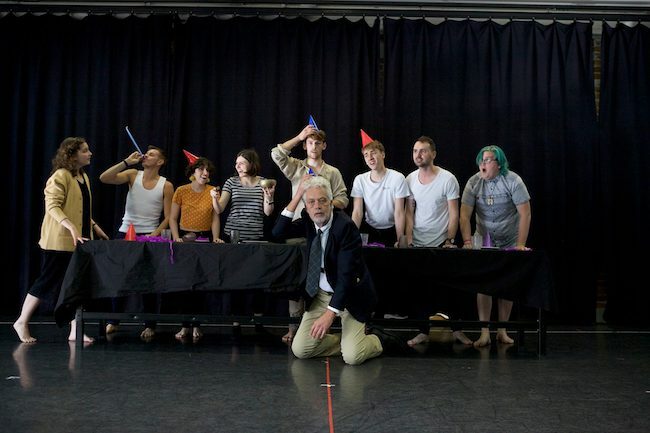 Direct from New York, Les Ballets Eloelle’s Victor Trevino, artistic director of the 2007 smash hit Men In Tutus, brings back to Australia his hilarious production Men in Pink Tights. 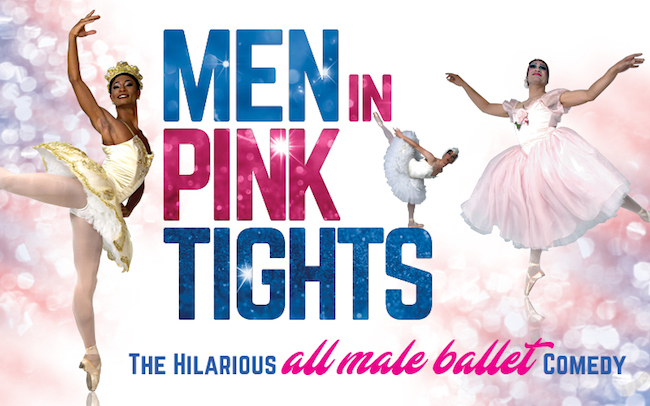 From thrilling pirouettes by male dancers in drag to sidesplitting humor presented in specially-designed lavish costumes, Men in Pink Tights is a show designed for all audiences. It will tour throughout NSW, QLD and WA soon. 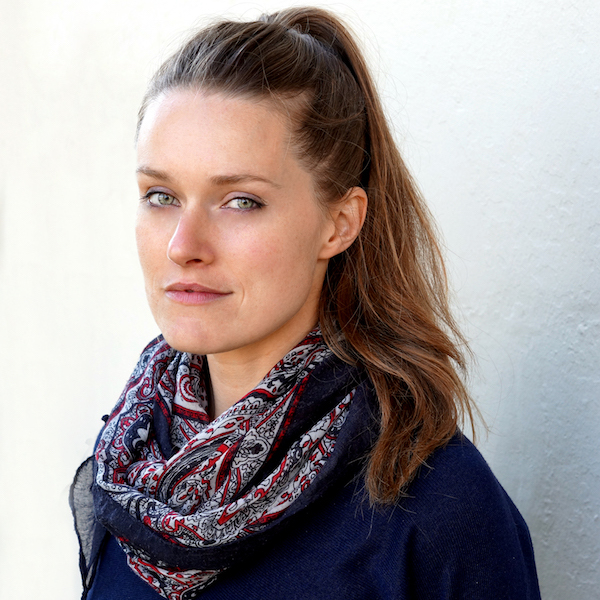 The Australia Council is continuing to see positive outcomes for female artists who received more than half (63%) of the grants awarded to individual artists in its latest grant round. 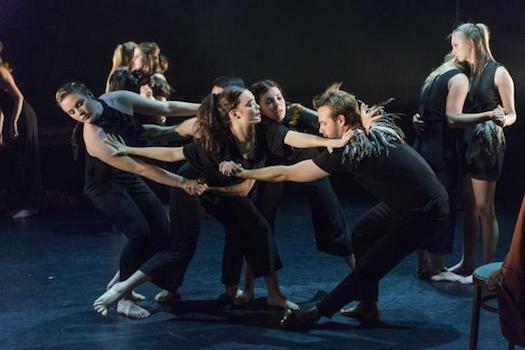 One of the projects supported is the latest dance work by choreographer Stephanie Lake, in collaboration with theatre director Matthew Lutton. The Telstra Ballet Dancer Award was created in 2003 to foster young dancers in The Australian Ballet, helping them reach their full potential and truly thrive. This year, six performers, all with unique talents, were nominated for their artistic quality, powerful stage presence and contribution to The Australian Ballet. 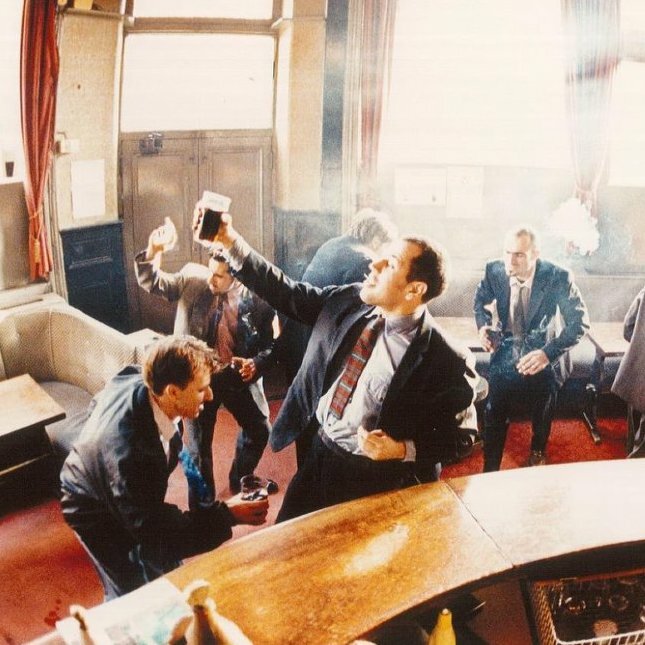 The public is invited to vote for their favourite candidate.